Are you passionate about photography? Are you passionate about photography? Are you passionate about doing something which takes you closer to learning what the nature has got? Are you a nature-photographer? If yes then North Cyprus Flowering Season would be the best to do photography, You will find the Nature’s best photography over here in Northern Cyprus. Every traveler in my view is a photographer. 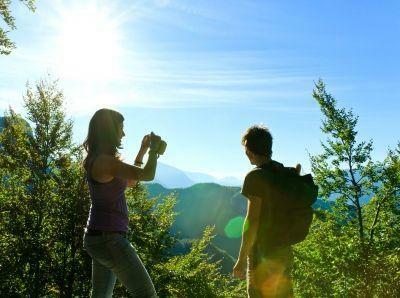 Yes, because every traveler wants to capture the best moment of life. No matter where you go on excursions with your friends, family members or colleagues or with anyone you are bound to take snaps now and then. Many of the tourists are just enthusiastic about what more they can find beside beaches, historical buildings etc in a tourist city because they want to take some long-lasting memories to their homes, something which can remind them of their beautiful time on a beautiful island. Many of the tourists look for what can be much lovelier and entertaining for them (Of course, a city is known by its historical monuments, its beaches, its entertaining spots etc but one thing which some of us sometimes miss is the beauty o the nature). Visitors should know this the place which they are now coming to is a place which is rich in natural life. Yes, it is rich in flora and fauna. If you are the one who loves nature or who loves to gather the spectacular views of what nature tenders then you will surely have to come to this island: Northern Cyprus (It will really be the first name which you will listen to from anyone who is a true devotee of nature). It is worthy of mentioning here that this island hosts over sixteen hundred species (yes, 1600 species) of flora and fauna. Visitors who are lovers of nature (who love to know more about plant life and animal life) can come here and spend their time the way they would like to: capturing wonderful bird-activities, strolling in the forest area, viewing the nature with their own eyes etc. Here are many different flowers, different kinds of birds, reptiles etc. It shall be said here that island is said to be the resting and nesting place for birds which come here migrating from other areas possibly from Africa and Europe. The climate here can said to be the main reason of such richness in greenery and animal life. With the presence of the rhythmic changes in season, life is never affected. Mediterranean type of climate support life here in full swing. 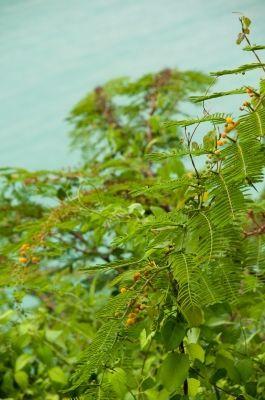 The two of the common shrubs which can be found here on the island include shrubs like Pistacia lentiscus and Juniperus phoenicea (Other species that which can be found may include Lithospermin, Calycorome, etc). With the beginning of the rainy season here on the island, everything seems to be rejuvenated or revitalized. Everything becomes so livelier and so very colorful. Visitors can see fields and other foothills, covered with new vegetation. Autumn season or winter season here in North Cyprus seems to pass very quickly. Spring season gives new life and the flowers bloom in higher quantity and make this island a flower bed. 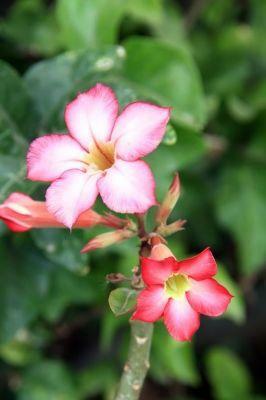 Some of the flowering plants which visitors can across in many parts of the island are listed down. With the beginning of the flowering season, the island spreads intoxicating perfume %u2026across%u2026.. Miles and miles 2026. Flowers of varied colors can be found here. Take beautiful snaps of different colored-flowers such as flowers in natural shape and order, flowers in deep and purple color, flower from pure white to pure yellow or reddish etc. the whole area seems to be blanket with these different kinds of flowers which spread the scented smell across Karpas and Kantara. Tulips and Lilies can be found in abundance here. Visitors who are interested in photography can have the chance to take some best snaps or photographs of their time spent in exploring forest areas here. They can have the chance to go for photography in different parts of the forest areas which are safe. Even though there is lot more protection here but still it is always suggested that you seek permission and help from the officials first and then take any step you would like to if there is anyone to guide you then it really be good. You will not find yourself in any sort of difficulty and you can get along. There are many trails you can follow which include the best itineraries for capturing various types of wildlife including those for the Flora and Fauna. Any experienced tour operator will have details of these for you. it is recommended you take a small guided tour for these, in order to maximize your Holiday trip in Northern Cyprus. Ramadan is the founder and managing director of Holidays2northcyprus.co.uk and Direct Traveler, a UK based leading specialist tour operator offering tailor-made holidays. Working in the tourism industry since 2002, Ramadan is passionate about travel. Having traveled extensively himself and been responsible for many holidaymakers individual arrangements, he offers informative insights for travelers.